Those of you familiar with my work will know I am a fox. These three cds share the same idea explored three different ways. 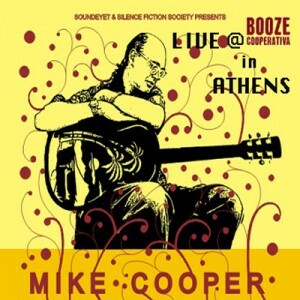 The idea of songs presented with and as improvised music played on acoustic guitar; acoustic guitar digitally processed and electric lap-steel digitally processed. For the past couple of years I have been collating a body of text culled mostly from Thomas Pynchon’s novels ‘Gravity’s Rainbow’ and ‘V’ and making cut-up collaged pieces in the spirit of William Burroughs, Kurt Schwitters, Tom Phillips and others. Those two particular novels interest me because they are set in the period that I was born, however no reference to that period is intended in my pieces. Hopefully a more contemporary comment was found lurking within the words, lines, pages and paragraphs. Initially my intention was to make an album using these texts and to invite friends who played free improvised music to contribute backing tracks over which I would sing these ‘songs’. Eventually I dumped that idea and decided on improvising a set of acoustic guitar pieces and singing across those instead. This became ‘Blue Guitar’. Recently my interest in playing the guitar in a more or less ‘traditional’ manner, but still incorporating various ‘extended techniques’ (as opposed to using it purely as a sound source) has been re-kindled along with a renewed interest in Blues, Greek Rembetika, Flamenco, Portuguese Fado and other traditional and improvised music around the Mediterranean which in turn brought out the singer in me again. I was a singer before I was a guitarist but my voice is something I have rarely used in an improvising context. I have lived in the Mediterranean region for 25 years and listened to its music and I wanted to make something that would hopefully have some of its spirit without making reference to any of it musically. 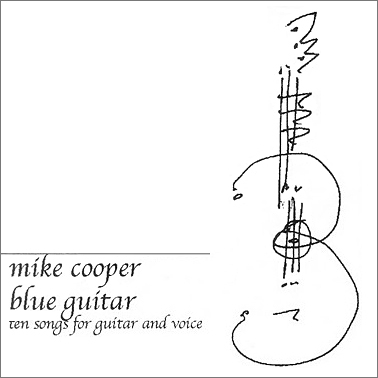 ‘BLUE GUITAR’ was made by first improvising a set of guitar pieces on acoustic guitar and then singing the text across the top – improvising the melody. With a nod towards my original idea for the project, I also used a guitar track recorded two or three years earlier with Australian guitarist Tim Catlin, and one piece by me with electric guitar and a looping device. “I like hearts like mine” – Markos Vamvakaris – Greek Rembetika musician/composer. 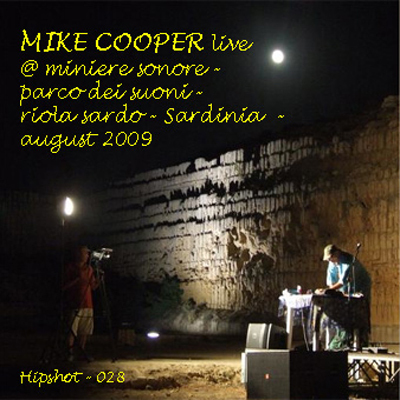 The two live sets, were recorded five months apart, in Athens and Sardinia, after I had completed Blue Guitar. Both of the sets are musically completely improvised. For the Athens concert and Blue Guitar I played my 1930’s National Resophonic Tri-Cone guitar, and the Sardinia concert was played on my Vietnamese electric lap steel guitar. On both live concerts I also use a Zoomtrack Sampler, a Korg Kaos Pad and a Boss Pitch Shifter Delay to process the instrument. These live concerts feature some of the same cut-up texts as ‘Blue Guitar’ plus newer material approached in a similar manner. The backing is always improvised and created ‘on the fly’ and the text is sometimes changed and re-arranged. It has also been interesting submitting songs not written by me to the same process. flexibility, nervous vigor, and, beyond everything else, impetuous vehemence and energy” – My hope is that mine do as well.